Adding up to Davao City’s exciting choices of restaurants serving sumptuous buffets, Al’s Kitchen 360° recently introduced its 249 Pesos comfort food buffet , available for lunch and dinner all Fridays and Saturdays. 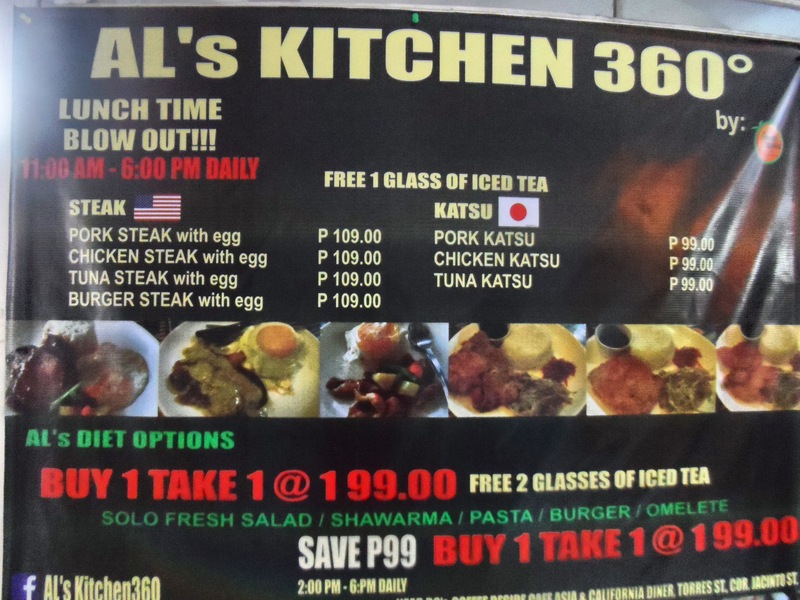 Located at the ground floor of Metro Lifestyle Complex along Torres Street corner Jacinto Street, Al’s Kitchen 360° is known and popular to Metro Lifestyle Gym goers as “Fruitea Master” food and drinks station serving pro-fitness beverages and post workout meals, as well as regular set meals served in big portions. And with the introduction of the 249 Pesos buffet, Davaoenos can now enjoy the restaurant’s specialties , “All you can Eat” Style. 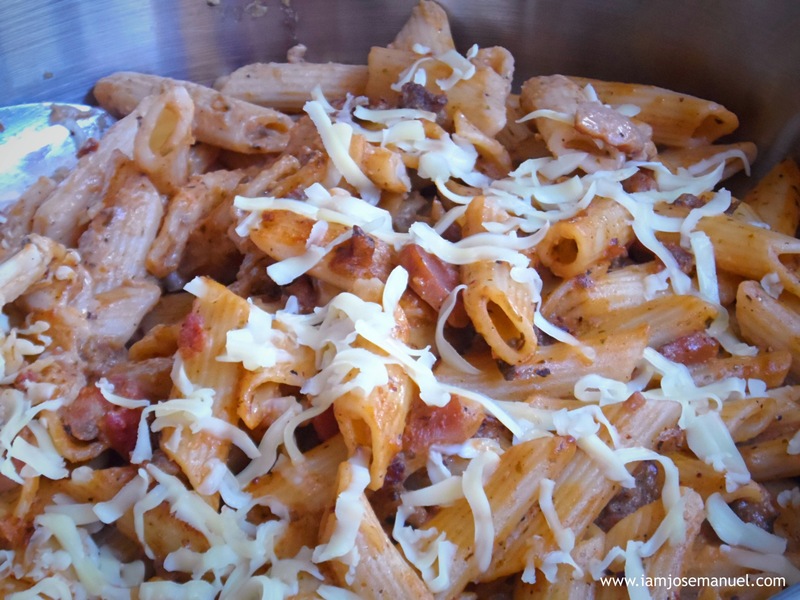 For 249 pesos, diners get to enjoy a feast of the restaurant’s best, such as the seafood curry pasta (which is a personal fave ) and Beefy Pasta in Italian red sauce, among others . The Buffet also includes BBQ’ed meat , Chicken Fingers , a number of appetizers , as well as the restaurant’s noted Fresh Salad Ala Fruitea Master . 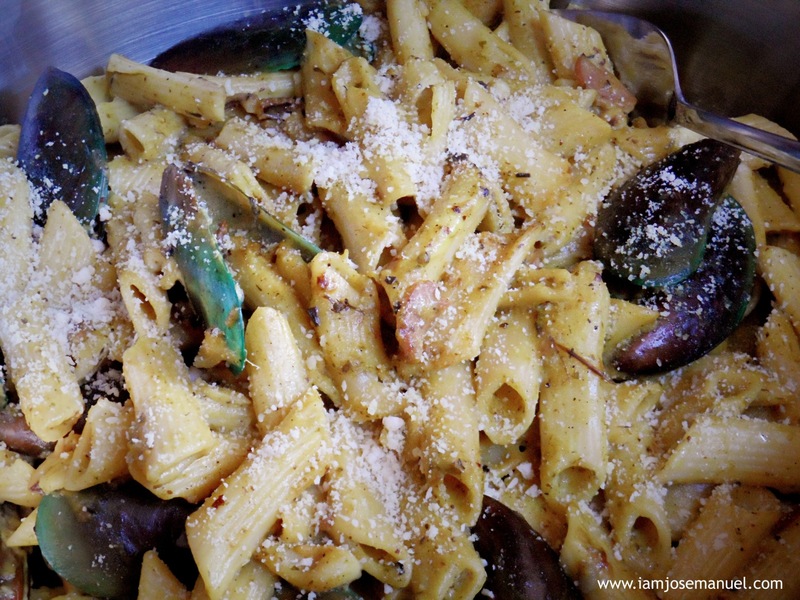 Seafood Curry Pasta. A Personal Fave ! Al’s Kitchen 360’s Fresh Salad ala Fruitea Master . 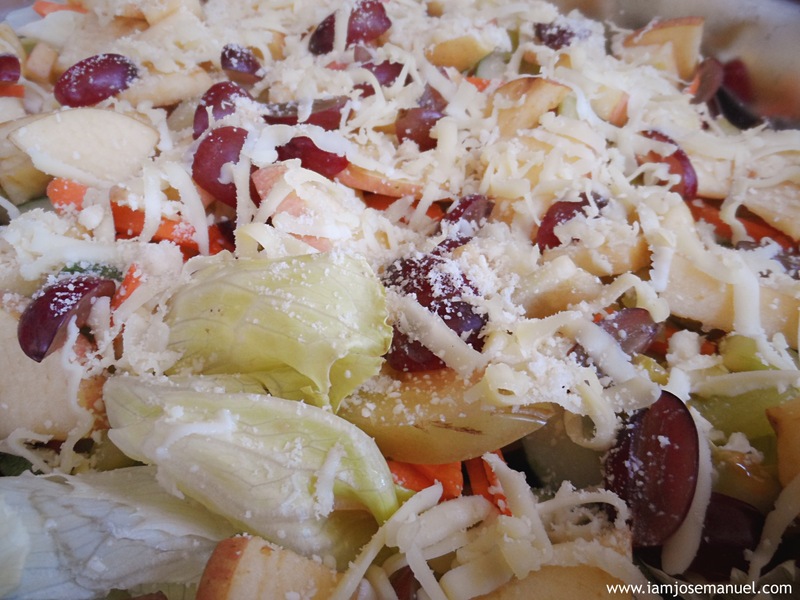 A mix of Greens, vegetable , Apple and Grapes slices in light dressing, topped with parmesan cheese. 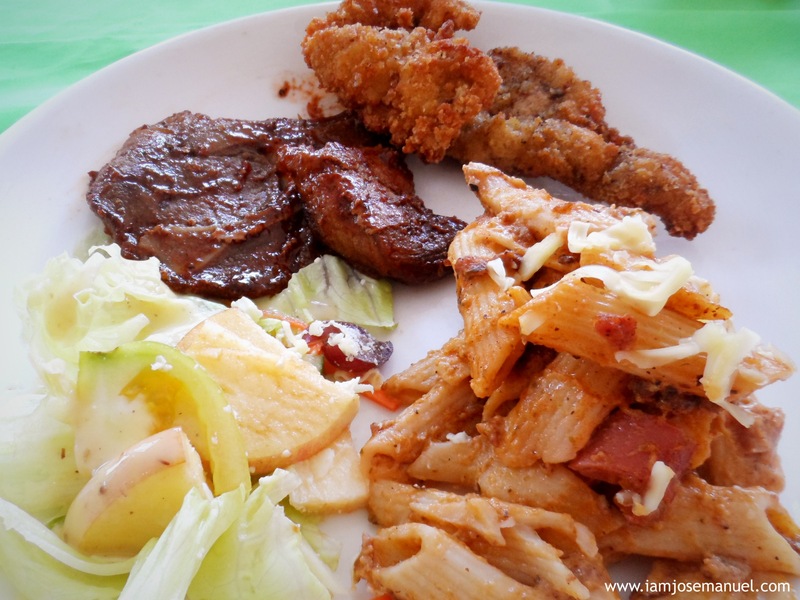 Al’s Pasta , Salad , Pork Steak and Chicken Fingers, all included in the 249 pesos Buffet. Some walk in Diners excited to enjoy the lunch buffet . lol ! Apart from the Weekend buffet , Al’s is also worth a try any time of the week . Their Ala Carte Meals come in large servings and are priced just right . 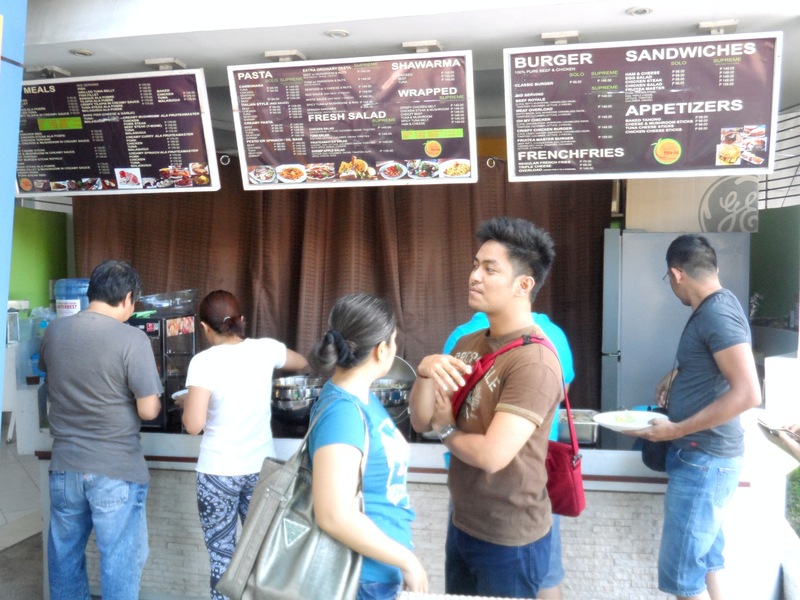 Al’s Kitchen 360 is located at the ground floor of Metro Lifestyle Complex , Torres St. Corner Jacinto Street, DC.